Dry to moist. Coulees, ravines, roadsides, utility rights-of-way, forest openings, floodplains, prairies where natural fires are suppressed. Full sun to part shade. 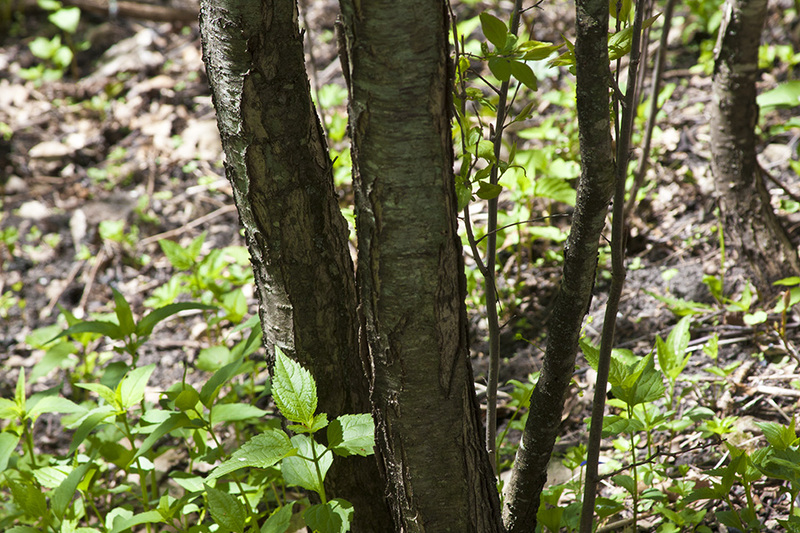 This is an erect, fast-growing, perennial shrub or small tree rising on a single or multiple stems from a woody root. It is relatively long-lived, sometimes reaching 50 or 60 years of age. When in the form of a tree it is 15′ to 25′ tall and 4⅓″ to 10″ in diameter at breast height. It has a single short trunk and a broad, open, spreading crown. 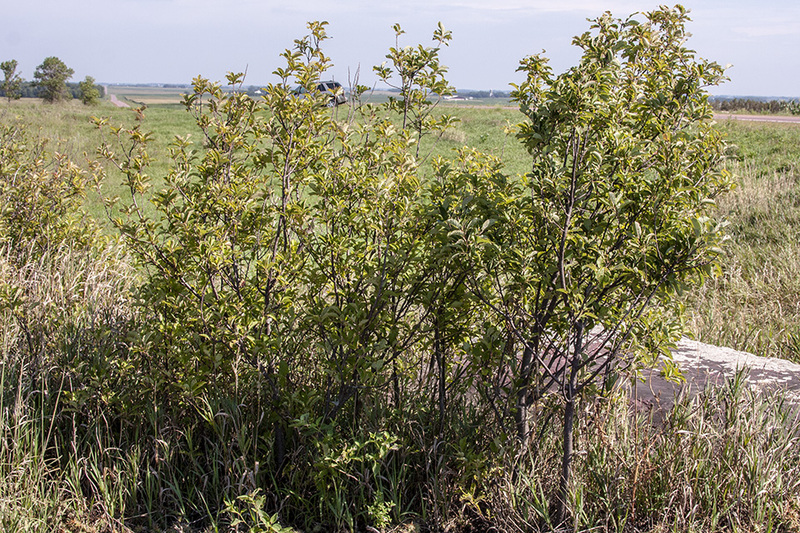 In prairies and other open areas it is rarely in the form of a tree. 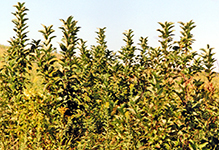 When in the form of a shrub it can be 3′ to 26′ tall, but is usually 10′ to 15′ tall. It rises on a single or multiple stems that branch near the ground. It can form large, dense, impenetrable thickets from root suckers. The branches are slender. 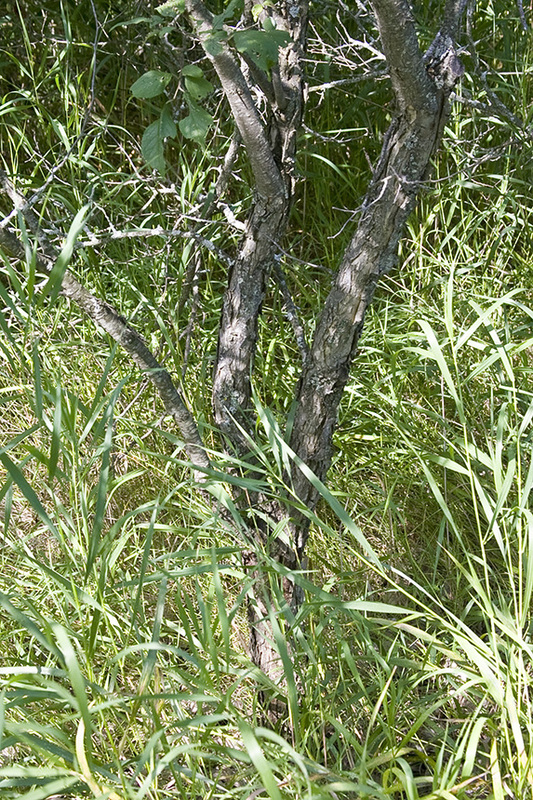 The stems and branches usually have thorns. 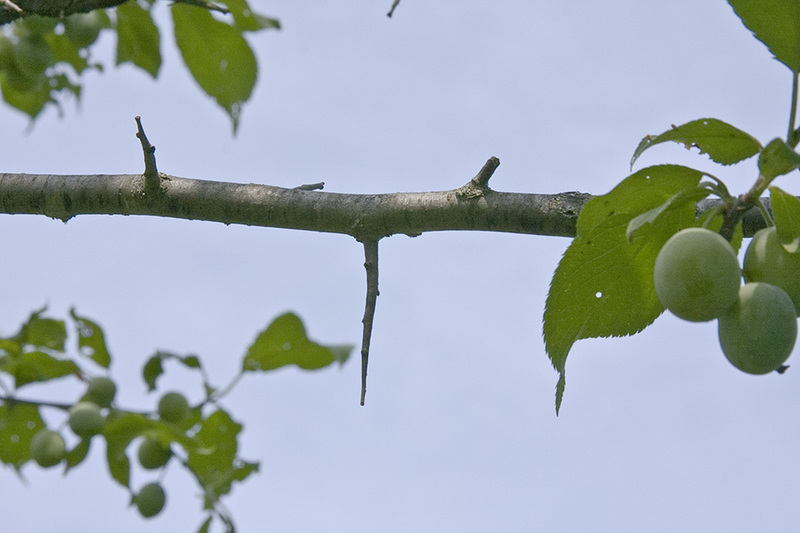 The thorns are stout; up to 2⅜″ long; have a dull surface; and have buds or leaves attached, or leaf scars where leaves have fallen off. 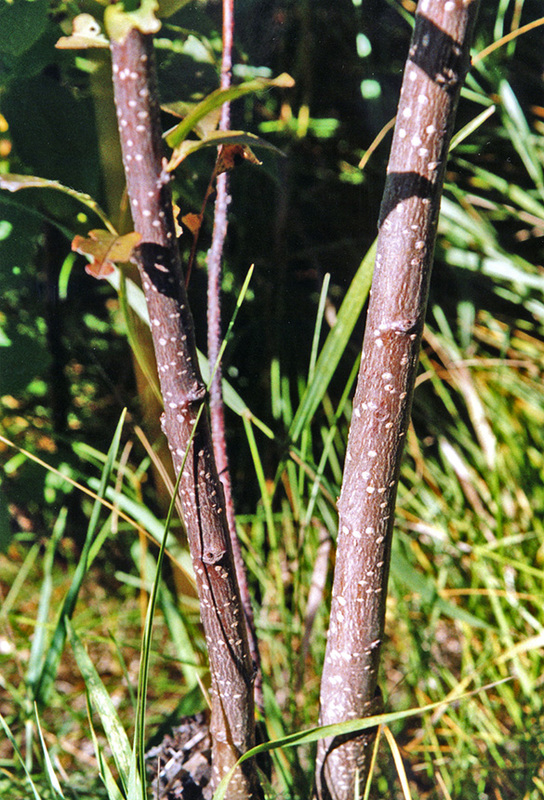 The bark on young stems is dark gray or gray-brown, tinged with red, and more or less smooth, with numerous horizontal slits (lenticels). When it ages it becomes rough and curls or peels off in thick strips. 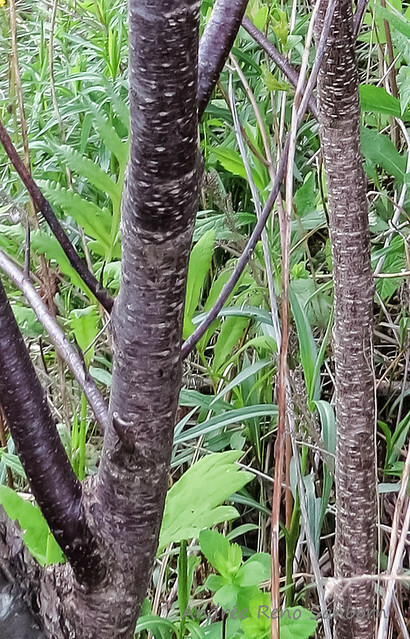 Young twigs are thin and have minute lenticels. They are green at first, later becoming grayish-brown to reddish-brown. The may be hairless but are often hairy or densely hairy. 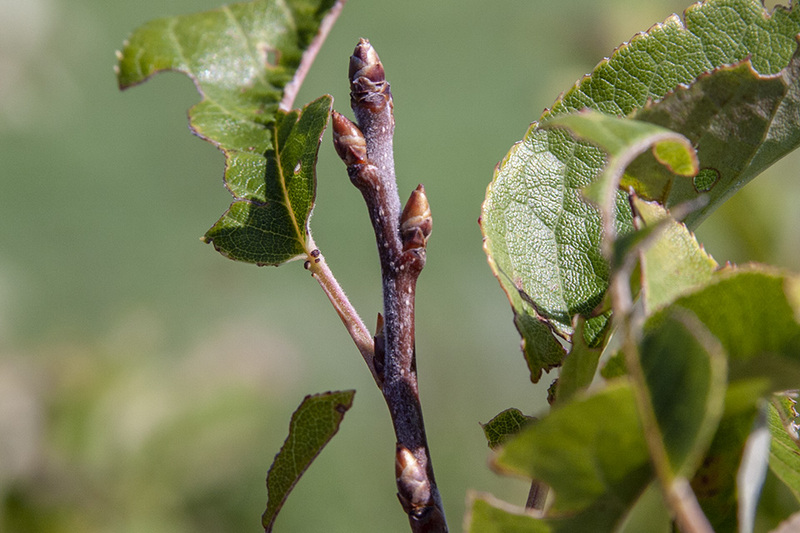 Buds are reddish-gray, ⅛″ to 5 ⁄16″ long, and sharply pointed. Leaf scars are raised and have 3 bundle scars. 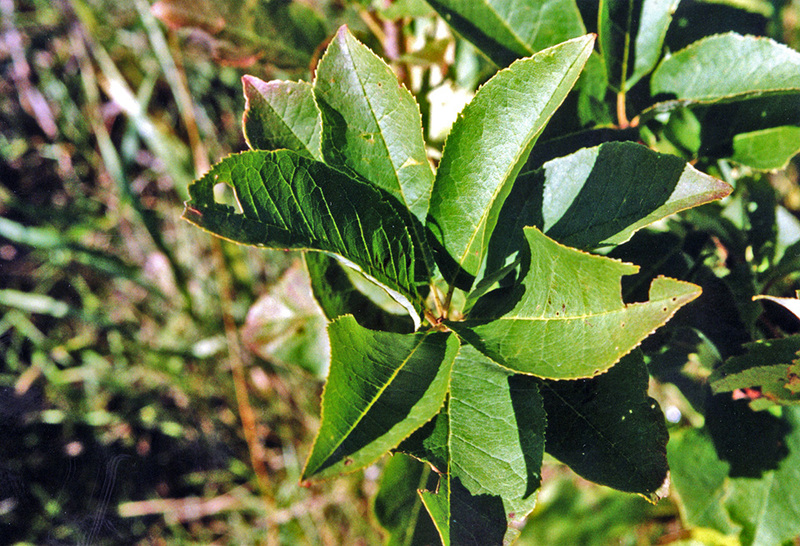 The leaves are alternate, deciduous, elliptical to egg-shaped, unlobed, 2 to 2½ times as long as wide, 2¼″ to 4″ long, and 1¼″ to 1¾″ wide. 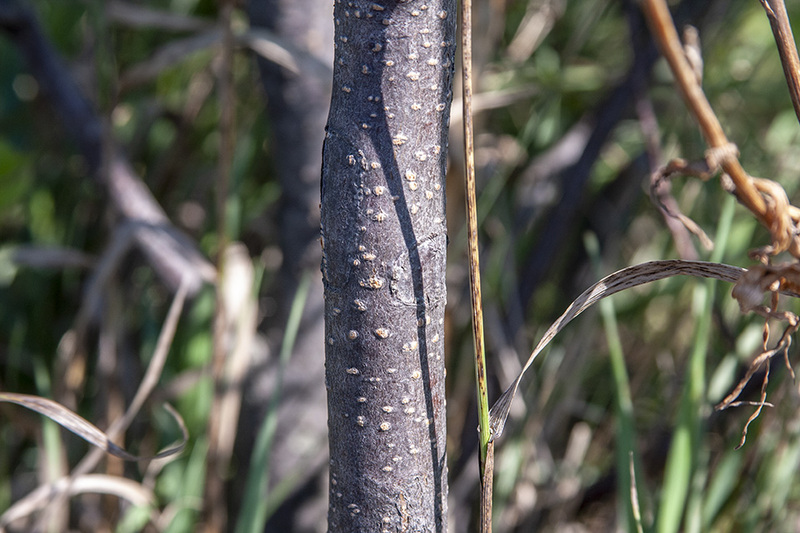 They are attached to the twig on 5 ⁄16″ to ⅝″ long leaf stalks. The leaf stalks are hairy, sometimes densely hairy, and usually do not have glands near the point where the blade attaches to the stalk. The blades are tapered or rounded at the base and taper to a point at the tip with concave sides along the tip. The upper surface is dark green and hairless. 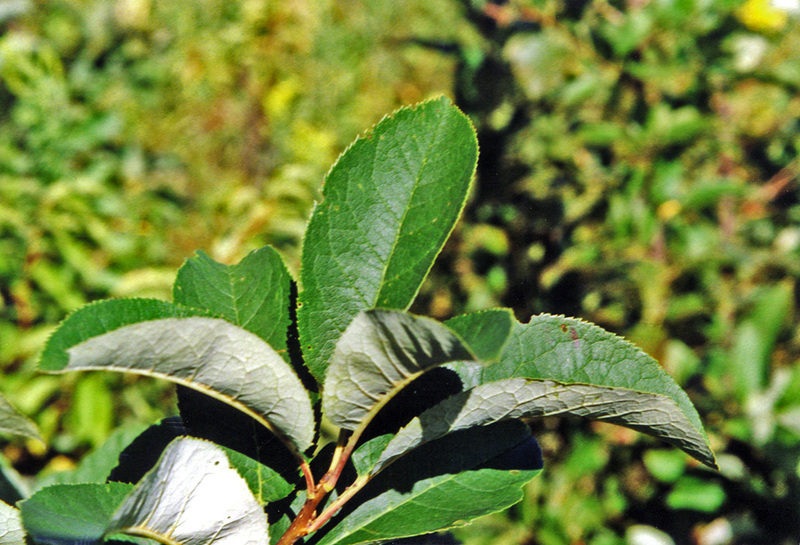 The lower surface is paler green sparsely to moderately hairy along the veins. The margins are singly or doubly toothed with short, sharp, forward-pointing teeth. The teeth do not have glands but tend to have a callous point at the tip. The leaves turn golden yellow in autumn. The inflorescence is 2 to 4 flowers in a stalkless umbrella-shaped cluster (umbel). The umbels appear at the ends of current year twigs and at the axils of previous year branchlets. The flowers are ¾″ to 1″ across. There are 5 green, 1 ⁄16″ to ⅛″ long sepals, 5 white, ¼″ to 7 ⁄16″ long petals, and 20 to 30 stamens. The sepals are often hairy on the upper side. Many flowers do not produce fruit. The flowers have an unpleasant aroma. They appear before the leaves from April to early June. 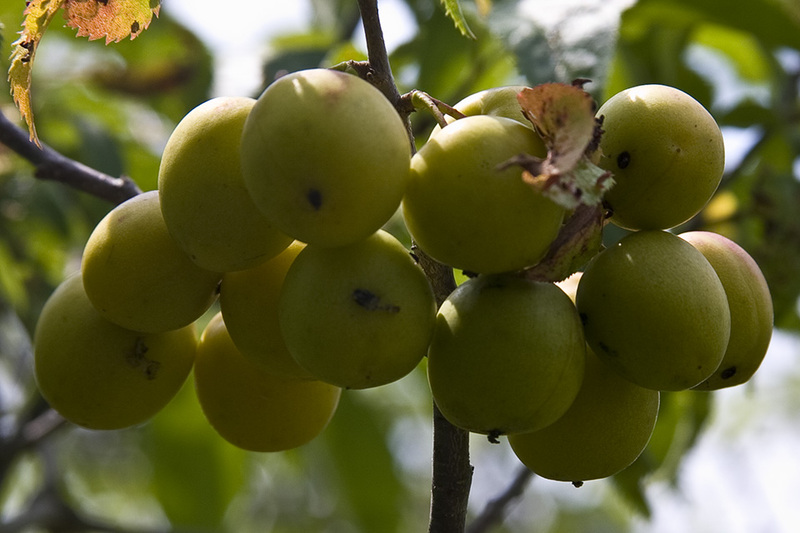 The fruits are fleshy, one-seeded, roughly spherical, ¾″ to 1¼″ in diameter drupes. They are covered with a whitish, waxy coating (glaucous). Drupes are yellow when immature, red to yellow, usually orange-red, when mature. They have a thick skin and yellow flesh. They mature early mid-August to mid-September. 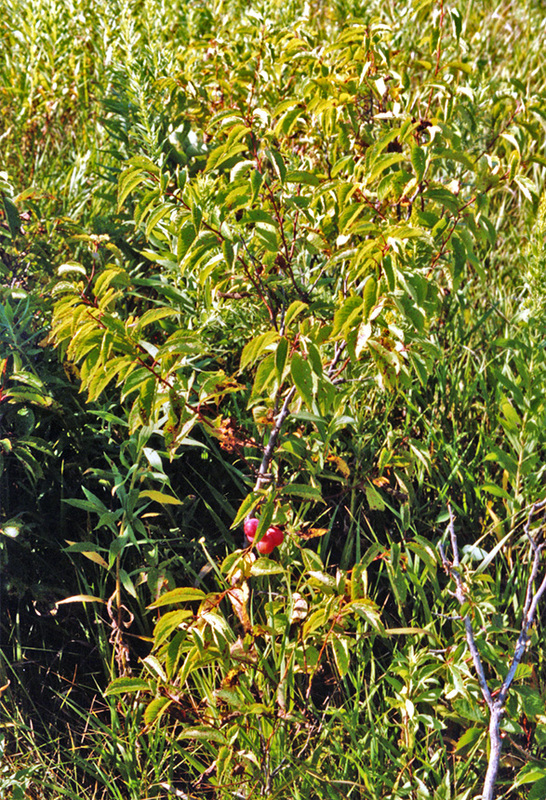 Canada plum (Prunus nigra) is less common and less widespread. 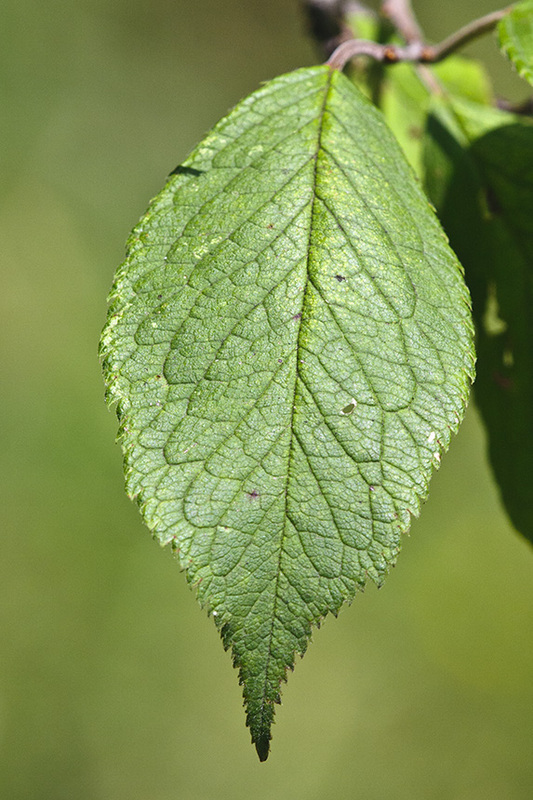 The leaves are proportionately wider, 1.3 to 2 times as long as wide. 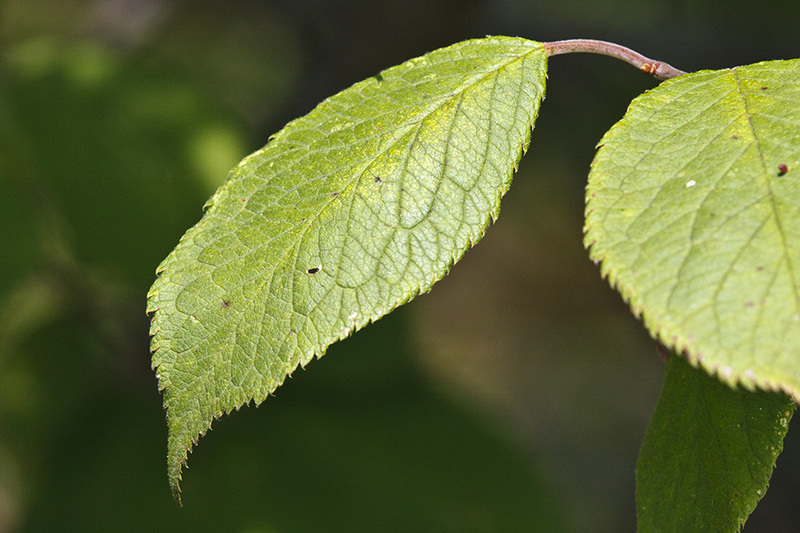 There are two small red gland dots near the tip of each leaf petiole. 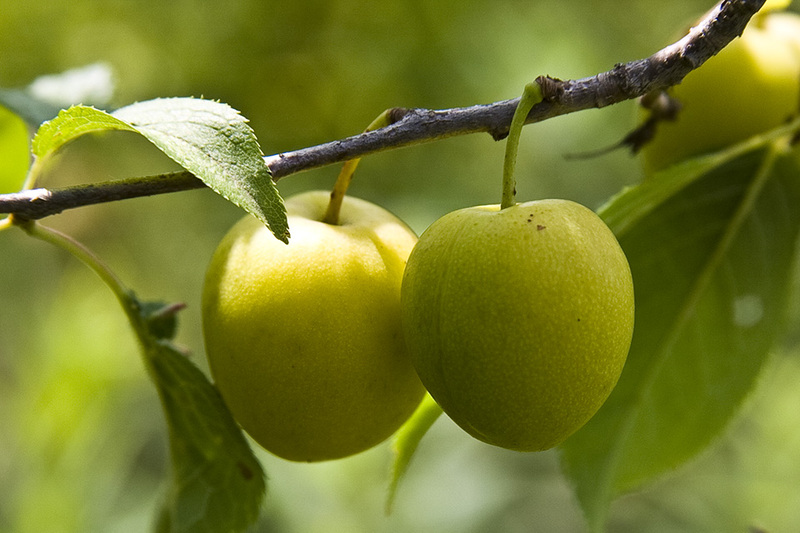 American plum lacks these glands. 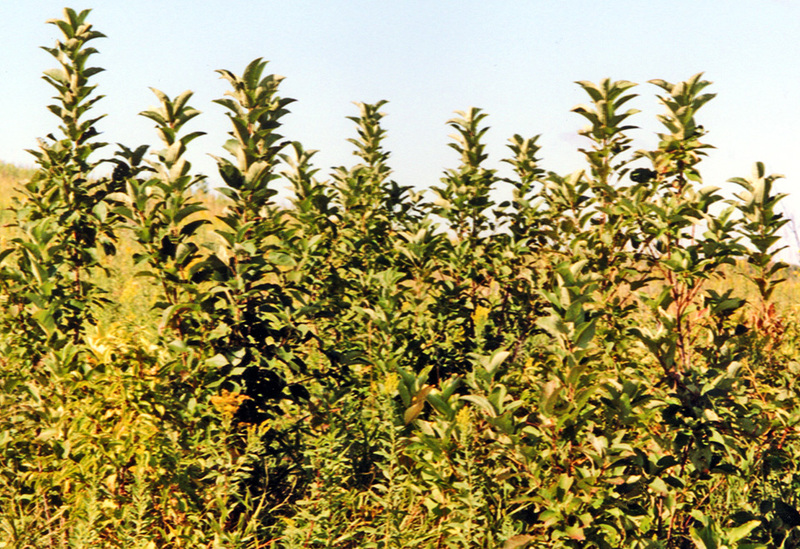 Hawthorns (Cretaegus spp.) 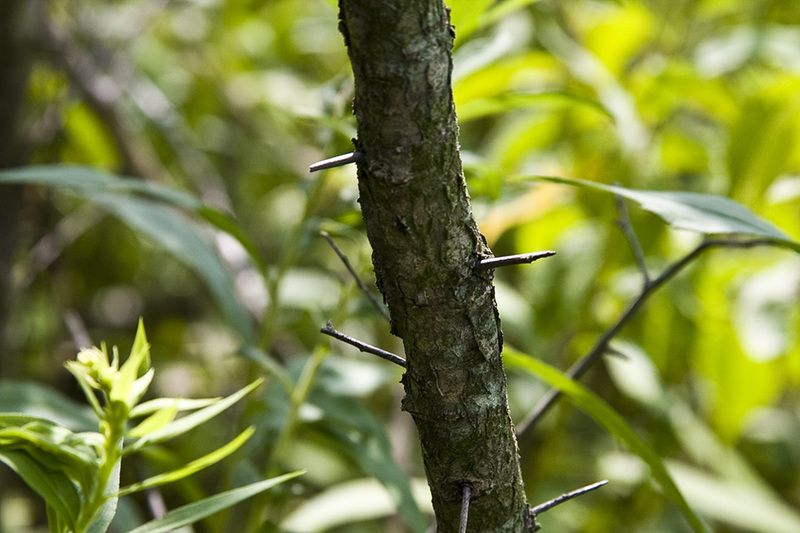 thorns have a shiny surface. A deep, steep-sided gulch or ravine, sometimes with a stream at the bottom but usually dry in the summer. 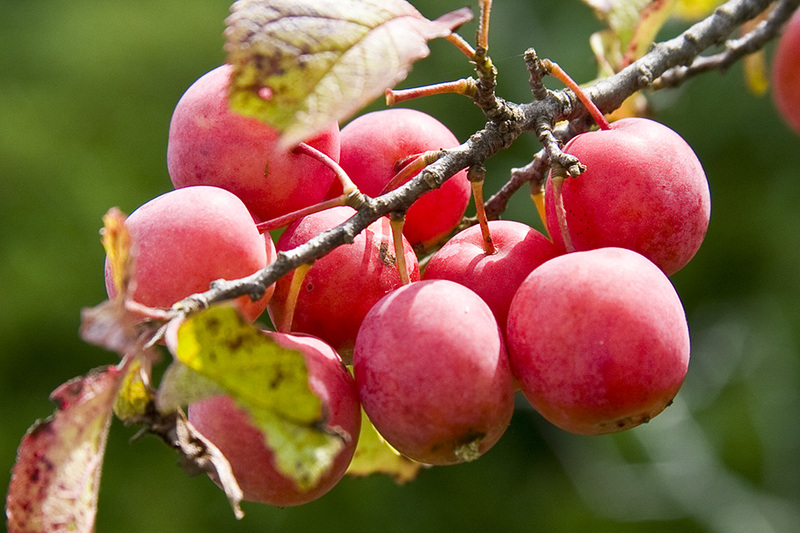 How to identify wild plums. Prunus americana identification. 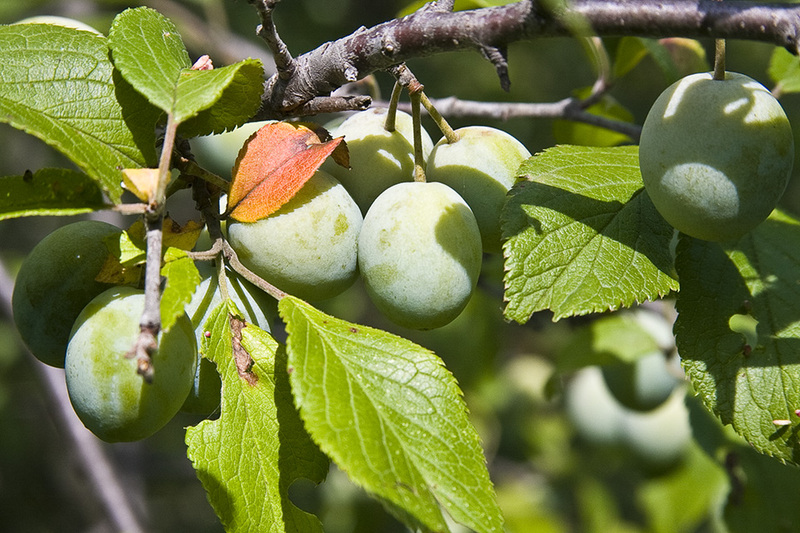 Wild plums, or american plums, are a tasty wild edible plant. 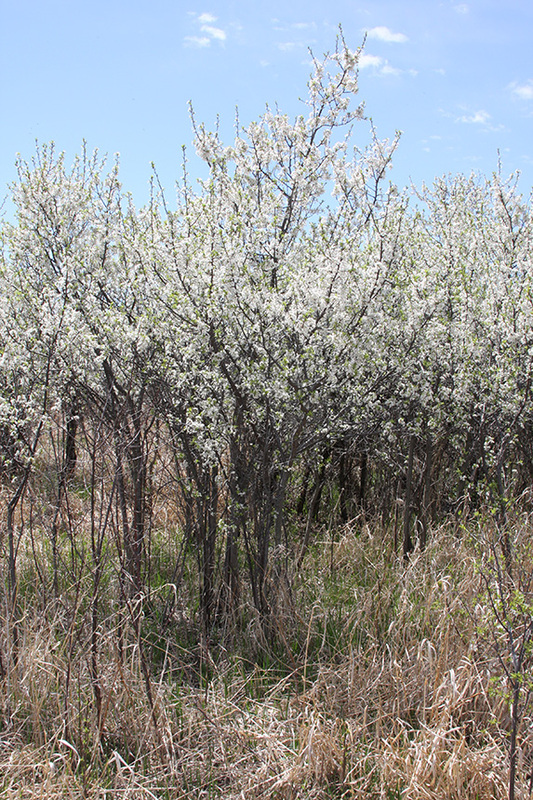 Wild plums are easy to identify, abundant, widespread, and the tree or shrub provides both medicine and serves utility purposes. 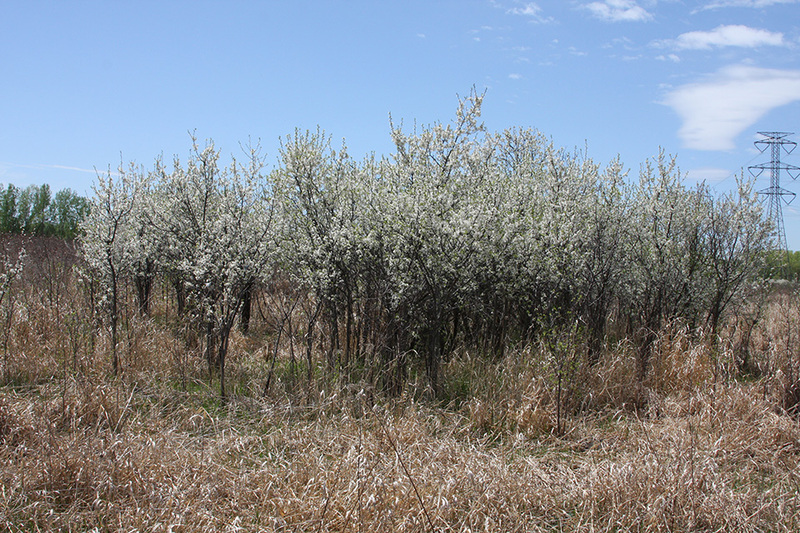 This video explains the physical characteristics of wild plums, range, distribution and habitat, and some medicinal and utility uses of wild plum. 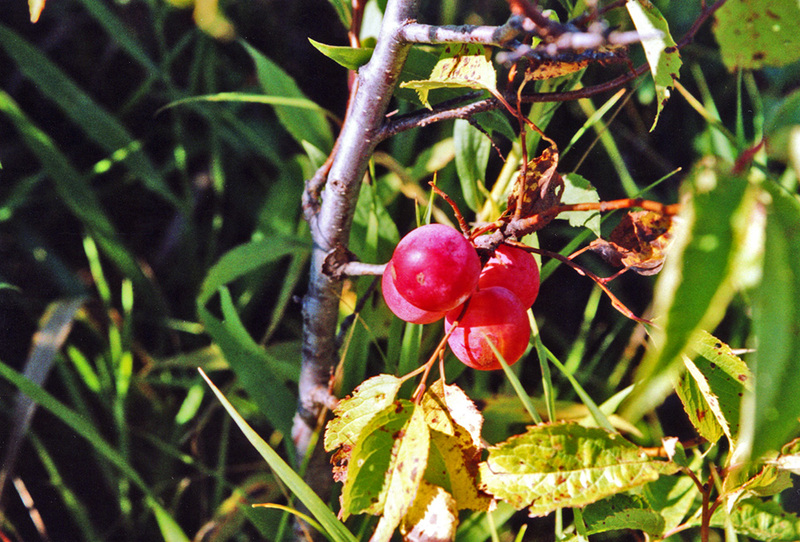 Wild plum roots were used by native Americans to make a red dye. 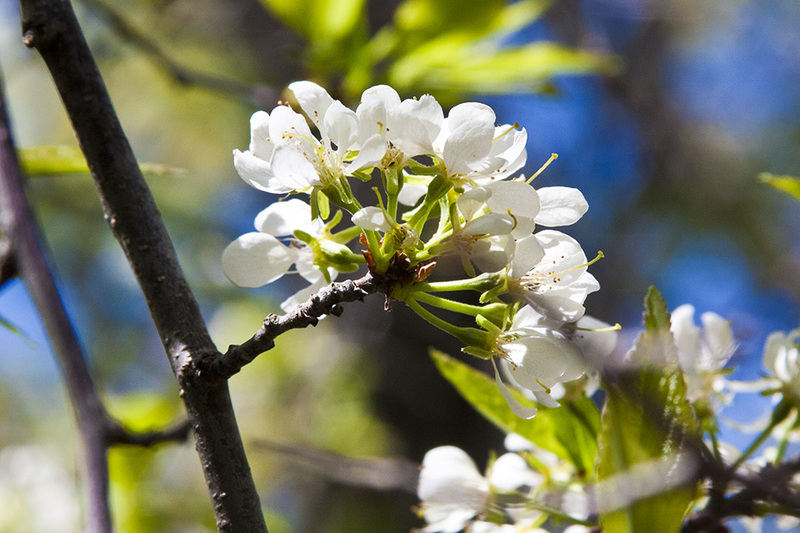 Wild plum twigs and inner bark were used to treat mouth sores and sore throat. 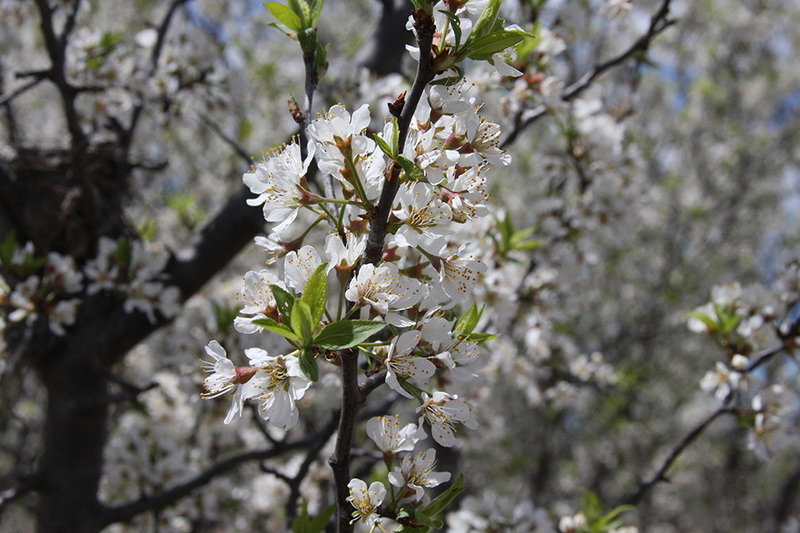 Wild plum rootstocks are used for cultivated plums and the plants prevent soil erosion. 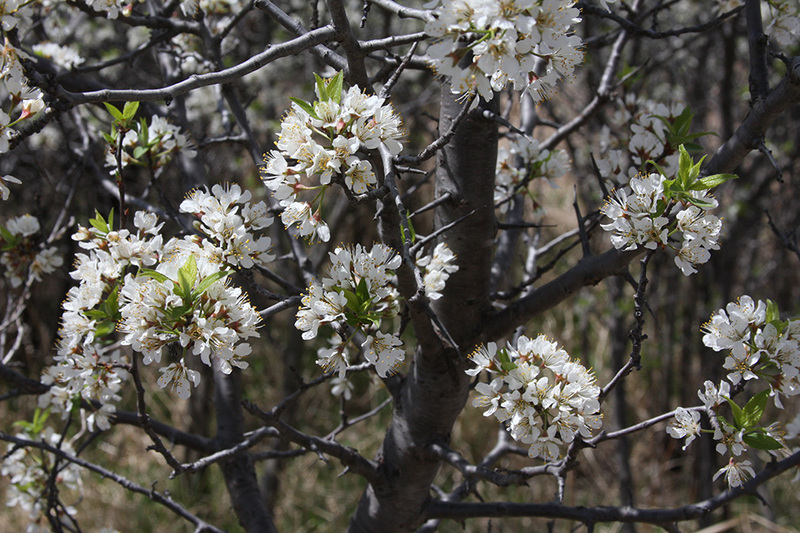 Wild plum prefers moist ares near water that get a good amount of sunlight and can be found throughout north America. 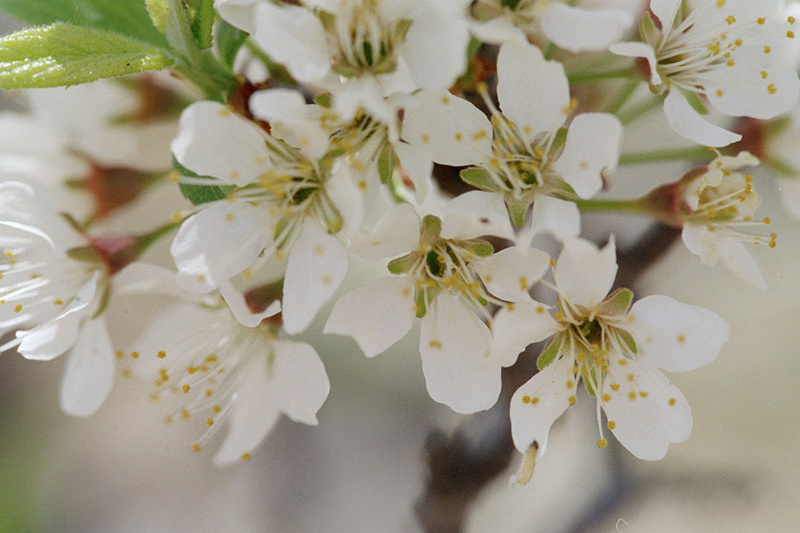 There are two other species of wild plum, beach plum and Canada plum with similar characteristics, all are considered wild edibles and can be distinguished from one another by the features shown in this video. Thanks for watching, commenting, subscribing to, and supporting this channel. If you like this video please give a thumbs up and share it with others. If you have any questions or tips please leave a comment. A small tree just off the path where the boardwalk veers off toward Timber Shores Park.